J.D. 's first experience with the disorder came at a much less opportune time. The 66-year-old "robust and active man" was driving to his son's house for Thanksgiving when he began to swerve. During dinner, J.D. held the spoon upside-down. Loyola University of Chicago neurologist Murray Flaster, a co-author of the paper, explains: "If you ask somebody if you see a glass or a toothbrush, they'll say 'yes'. Then if you ask them to pick it up, they can't. "There's nothing wrong with their movement or their eyes. They just can't easily understand how to reach the glass." This strange affliction is known as Bálint's syndrome, named for the Hungarian neurologist Rezsö Bálint who first described it in 1907. Individuals with this disorder are unable to coordinate their physical movements in response to what they perceive visually. 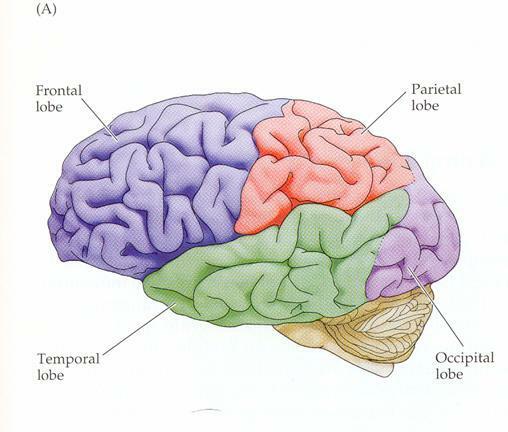 Typically, visual information reaches our brains via the optic nerve, terminating in the primary visual cortex located in the occipital lobe (shown in light purple). In a parallel pathway, the shapes, colors, contexts, and dimensions of what we're seeing are analyzed by our parietal lobe (pink) and other regions known as "association areas." Bálint's syndrome, however, is caused by a stroke or other injury that damages these association areas, creating a disconnect between the processes of seeing an object and understanding its context. Although rare, the disorder can be devastating. According to J.D. 's wife, "He never once cried before, but now he cries often." There are no cures nor therapy, and patients cope by adapting. To brush her teeth, A.S. puts the toothpaste directly into her mouth before scrubbing by trial and error. Her family has placed yellow tape around the doors of the house to help her find them. She gets her news via radio, and was "enthusiastic" to learn that she could read her beloved books by tape. Indeed, this Neurology piece proved to be enjoyable, informative, and brought forth much-needed awareness to this unusual condition. As A.S. wants readers of the paper to know, "If more people know about it, they won't have to go through what I've gone through." But now I must sadly return to my large red binder of "to-read" papers, with Wikipedia close at hand to translate.